Editor’s Note: This is the first of a two-part series. The continuing section will be published tomorrow, June 7, 2007. Last week, I had the honor of giving a short speech at the Saipan Rotary Club’s weekly meeting. The Rotary Club, for those who don’t know, is a service organization that “brings together business and professional leaders who provide humanitarian service, encourage high ethical standards in all vocations, and help build goodwill and peace in the world.” One of their mottos is "They profit most who serve best." After my talk, someone asked what I thought could be done to help the CNMI emerge from its current economic challenges. I was glad for the opportunity for such a dialogue, but time constraints necessitated a much-abridged answer. Today’s column will expand on that answer. When people ask how can we stimulate the economy, they’re usually asking a very pointed question: “How can we get things back the way they were?” They may have a limited view of what economic success looks like (i.e. tourism) and seek a “magic dust” solution to getting things back on that particular track. I’d like to suggest, however, that the New Saipan—the one that emerges from the current situation—may not look anything as it did in the past. There may be no garment factories, no federal handouts, no poker establishments, no casinos. Instead, the new Saipan may be something entirely different. As I’ve said many times in this column, I’m not a politician. I’m simply an idealistic entrepreneur and writer. So, I speak in idealistic terms. But as a businessperson with rent to pay, I’ve learned how to get things done, and as a coach, I only suggest things that I’ve personally done, helped others do, or have documented as being done by others. Nothing that I suggest here, therefore, is beyond the realm of possibility. In order to allow this New Saipan to take shape, it will be necessary for those involved, to do three things: 1. Take a leap of faith, 2. Ask different questions, and 3. Avoid limiting absolutes. I’ve heard people saying that Saipan has no resources. On the contrary, there is inestimable value in everything and everyone on the planet such that the real challenge is finding the time to harness it all. 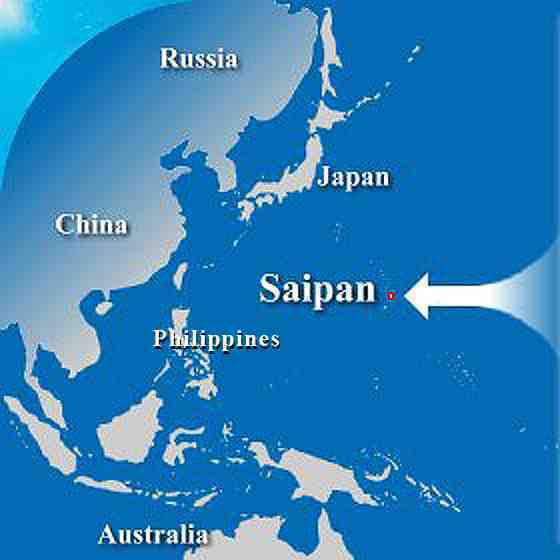 The simple leap of faith that will facilitate the emergence of the New Saipan is the belief that there is value here. I call it a leap of faith because as with most great accomplishments, one must first believe the value exists before one can find it. This simply means thinking outside the box. Instead of “What job can I get? “How can we increase tourism?” or “Where are the investors?” there may be new, more relevant questions that need be asked: questions that open up our thinking to new possibilities and that challenge the status quo. The New Saipan demands that people be possibility thinkers. In other words, when presented with a potential solution, if the first words that come to your mind are “That’ll never work here on Saipan and here’s why…” or “That’s been tried before and it didn’t work…” (what I call a limiting absolute), then you’re not the person the New Saipan needs. If, on the other hand, you say, “Wow! That sounds cool, let’s see how we can make it happen!” or “There are a few challenges, but let’s work on them…” then you might just be who we’re looking for. With that said, I’d like to offer some quick answers to the question “What will we do to help Saipan prosper?” from an individual, a group, as well as a national perspective. The “saipanpreneurs” whom I’ve profiled in this column are real-life examples of individuals who are turning their passions into profit and making changes in their economic situations on an individual level. 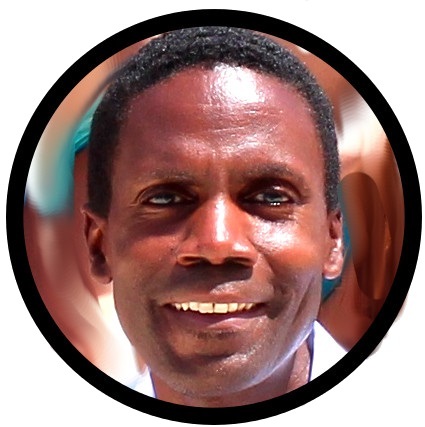 What resources might a family or cultural group harness to change their economic situation? First, taking the leap of faith that there is value in their land, their home, their culture, their language, and even their island hospitality, they might ask the question, Why do we even need hotels? When I was first making plans to visit Saipan, I came across the couchsurfing.com and hospitalityclub.org sites which are informal networks connecting travelers with hosts who’ve agreed to open up their homes to others who wish to see the world. Using that model, why not a network of local families who open up their homes as “bed & breakfasts” for a fee to travelers who wish to experience the land, homes, culture, language and island hospitality firsthand? Absurd, you say? Well, it’s already happening! There are already opportunities in certain communities here on island where families receive a stipend for hosting exchange students in their homes. Someone asked the outlandish question, “Why is a hotel the only place a tourist/visitor can stay?” and as a result, tourism dollars flow into local hands (with taxes for the government) and everybody’s happy! There are countless similar ways that the cultural and language diversity that are hallmarks of the Saipan experience can be offered to the world in exchange for value and prosperity. Can you think of any? Here are two examples of nations finding answers to their economic situations using resources they always had on hand. [Excerpt from terradaily.com] Right now in the Marshall Islands, coconut oil is being used as an alternative to conventional fuel thus reducing dependence on imported gasoline and potentially boosting ailing local economies. In addition to reducing dependency on foreign petroleum, coconut oil offers several additional advantages, they said. It does not pollute, and better yet, it has a "beautiful smell," said Vanuatu’s Environment Minister Russell Nari. It is also cheap, costing about 80 cents per liter, compared with one dollar 17 cents for the same amount of diesel, officials said. And if it catches on as a fuel source, it could rescue Pacific island economies that have been hit hard by plummeting prices for coconut oil, one of their chief exports. It takes about five coconuts to make about a liter of fuel and the process is similar to that used to produce massage oil, although it requires more purification, Nari said. Coconut oil can be used in generators. Therefore, it can be used in the generators that power the facilities that produce the coconut oil. How’s that for sustainability? Last time I checked, we have coconuts here on Saipan! India redefined its global image and become a much-sought source of outsourced call-centers and customer service for companies the world over. The simple resource? The ability of their people to speak English. So here's what I'm thinking. As a paradise island, it seems natural that Saipan could lead the way towards a new paradigm of an ecopreneurial business model that others can follow-a model that harnesses natural resources, participates in the healing of the earth, a model that values sustainability, renewable resources, and benefits the greatest number of people, and maintains paradise at the same time. Soap nuts. [from Newstarget.com] There’s a fruit that grows in India and Indonesia that is an eco-friendly alternative to soap. A tree called sapindus mukorrosi grows a small fruit surrounded by a firm outer shell, much like a lychee or rambutan. This tree, also called the Chinese Soapberry Tree, is unique in the fact that it synthesizes its own natural soap-like saponins that coat the shell of the fruit. When the fruits ripen and fall from the tree, local families harvest the windfall, then remove the inner fruit from the outer shell. The shell is then dried in the sun, using absolutely no chemical processing or manufacturing processes. [end excerpt] The “soap nuts” are chemical-free, natural, non-cancer-causing and, although unknown in the west, have been used for centuries to wash clothes. Since Indonesia isn't that far way, who knows, we may already have it or something similar growing here on island. Would some chemist here on island look into that for me, please? Noni. The worldwide demand for Noni is such that if a few farmers got together and decided to grow Noni on the island, they could actually secure advanced orders and partial payments from customers in Japan and the United States even before a seedling is in the ground. Alternative Energy. I've already given the example of what's being done in the Marshall Islands with coconut and palm oil, but did you know that algae can be used as a source of energy? Carbon Trading. In a previous article I mentioned the concept of carbon trading in which countries trade or sell their allotment of allowed carbon emissions to other countries. Other such types of agreements might be able to leverage the native unspoiled beauty, and the very lack of earth polluting industries here on Saipan that might otherwise be seen as a liability. Business Process Outsourcing. The category of service in the India example is known as BPO (business process outsourcing). There is also KPO (knowledge process outsourcing), and judgment-based BPO (BPO that cannot be automated because human assessment and decisions need to be made). As a Mecca of language and culture with people speaking many different languages, Saipan might be the perfect place for companies to outsource certain language-intensive processes. Any thoughts? These ideas could go on and on. The point is, that all it takes is the right frame of find to start seeing opportunity everywhere. Maybe it's just me, but like that little kid in the movie The Sixth Sense who's able to see the departed everywhere, everywhere I look I see opportunity. Taken together, all these different ideas would surely be able to help Saipan prosper short term and long term. But that's just the beginning. Since every individual has the potential power to effect change on an individual as well as group as well as a national level, there are as many answers to the “How Will We Help Saipan Prosper” question as there are people on the island. If there are 69,200 people on the island, then there are at least 69,200 answers and solutions to stimulating the economy. The traditional tourism model is just one answer that is being addressed by one group of individuals, but the field is wide open for anyone with the drive and commitment to add their part. Revitalization requires efforts on many fronts, and everyone is inherently qualified, or better, required to contribute. Again, all of MY answers have a particular theme because of my own passions and interests. Being an earth-conscious vegetarian, I see evidence that the world is moving toward an increased awareness of preservation, sustainability, ecological stewardship, natural remedies, alternative therapies, supplemental energy sources, and recognizing climate change as serious issues which deserve attention as well as the adoption of new business models, along with products and services which take them into account. So, what's your passion? What answers do YOU see, that others don't? Of course, I'm not naive to the fact that implementing such ideas comes with certain challenges. Overcoming the inertia of having done things a particular way for many decades will be a big one. It will require a re-education of sorts to empower children as well as adults to believe, and think and act in different ways. This will all rely on the adoption of a new business model which believes in abundance, one which focuses on creativity rather than competition, one which sees the exploitation of a labor class as unnecessary for one's success, and which is driven by the desire to empower and help the greatest number of people as possible. In addition, those currently benefiting from the way things are must be willing to change and adapt as well. Speaking of which.. It's important to mention here that no one who is presently in a position of power and profit need feel threatened by the emergence of the New Saipan. Hotels need not be displaced by “home-tels”, but might even find ways to creatively align with local bed and breakfast-owners. Current energy providers and fuel sellers need not feel threatened by the emergence of coconut fuel as an alternative. The challenge is to realize that in the long run, a successful Saipan requires that as many people as possible share in its success. If your success is crippling to the overall well-being and prosperity of the nation, and those in it, then in time everyone loses. Again, creativity, not competition is always the better answer. Monopolies and limited options drive people off island. So just think what this New Saipan could look like. Hundreds of individuals are using the Internet to sell their own passion-centered products and services to customers the world over; tourism dollars are increasingly held in the hands of local landowners; students and teachers are coming to Saipan to immerse themselves in the unique multicultural and multilingual mix that exists here; a new industry of earth-healthy, sustainable, energy-efficient products (eco-friendly soaps, coconut, palm and algae-based fuel alternatives, healing herbs, Noni) are being locally produced, used and exported; Business process centers are springing up. Again, all this is just from MY perspective. Once people with expertise and experience way beyond my own-people with knowledge and passion for agriculture, health, fishing-get in the right frame of mind, ask the right questions, eliminate limiting absolutes, question the status quo, and take the leap of faith, just think what amazing solutions will be generated! Where Will You Be for SaipanRise? Finally, the most important thing to realize is that a New Saipan is already taking shape. People are leaving the islands, businesses are being sold, laws are being passed. When the dust settles, and the sun rises, by default, there will be those who benefit, and those who will be on the sidelines. We-you and I-have the power and opportunity to decide where we will be. Make no mistake about it, there will be a New Saipan that emerges from all of this. The only real unknown is who will be the beneficiaries? It will be those who position themselves now ahead of the tide and ride the front of the wave into the future. I hope sincerely that you choose to lead, rather than be among those who follow, carried along helplessly in the wake of change. Visit www.welovesaipan.com/thenewsaipan where I've posted links to some of the articles on carbon trading, coconut fuel and other ideas.